This company is the best! They came through during a last minute emergency and helped make our party a huge success! The lady Lenny on the phone was very polite and helpful! She came for the set up and was even nicer in person. They came after the party and spent time cleaning/wiping down the whole bounce house. Very good business!! I will definitely be using them again! Highly recommend this company!! 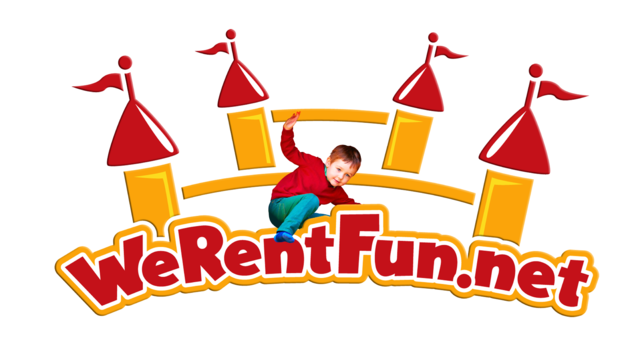 We Rent Fun provided us excellent service at a great cost! They rented us a bounce house, tables, chairs, tents, and picnic tables for our Open House. The staff was extremely friendly, understanding and efficient. Look no further, this team has it all for your party needs! Will go through them again in the future! Excellent customer service. You can tell that their main goal is customer service. Great bounce house/water slide combo. Clean. Nice table and chairs also. Loved that I had a one-stop shop for my party needs. Great prices! Will definitely be using them again next year!